Director/co-writer Antonio Bido does a bang-up job with this nifty entry in the popular Italian giallo thriller genre: The tight and tricky plot unfolds at a swift pace, Bido creates and sustains a substantial amount of tension, the killer's true identity is a real surprise, and the brutal murder set pieces deliver the savagely satisfying goods (a vicious bathtub strangulation rates as a definite exciting highlight). Moreover, this film further benefits from sturdy acting by the able cast: Tedesco and Pani do praiseworthy work in the leads, with sound support from Fernando Cerulli as the scared and secretive Giovanni Bozzi, Franco Citti as angry convicted killer Pasquale Ferrante, and Bianca Toccafondi as the paranoid Esmeralda Messori. Mario Vulpiani's polished and dynamic cinematography makes inspired use of a smoothly gliding camera and gives the picture a neat stylish look. The lively and throbbing jazzy prog-rock score by Trans Europa Express does the pulse-pounding trick. Recommended viewing for giallo fans. 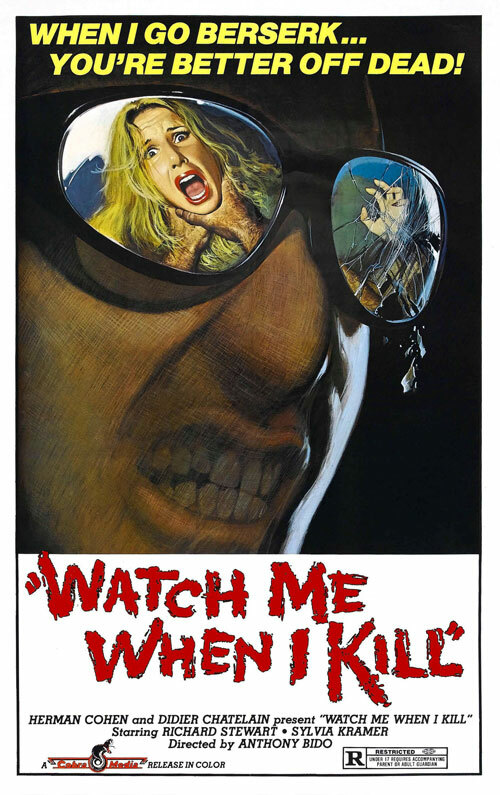 1 Response to "Watch Me When I Kill (1977) Antonio Bido"
Thanks for this upgrade and especially for the Italian audio.